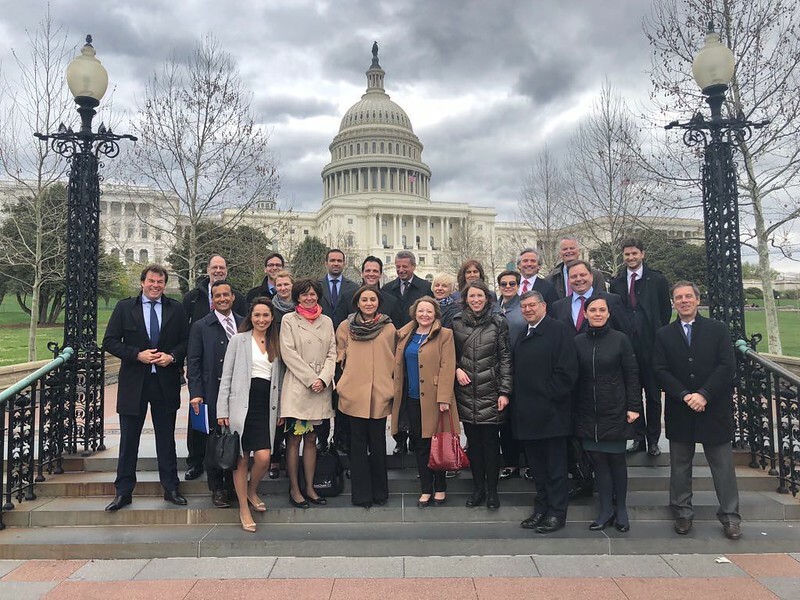 CEO Susan Danger last week participated in the annual AmChams in Europe USA Conference held in Washington, DC and Chicago, IL from 16-20 April. The visit began with two days of meetings in Washington, DC with colleagues from AmChams around Europe. The delegation attended a conference hosted by the US Chamber and BusinessEurope entitled, ‘Transatlantic Business Works,’ bringing together leading EU and US officials and business representatives to highlight the value of transatlantic trade and investment to Europe and the US. The event also saw the US launch of the Transatlantic Economy Report 2018, presented by Dan Hamilton, Executive Director, Center for Transatlantic Relations, Johns Hopkins University. The group also attended a series of briefings at the US Chamber, as well as participating in selected meetings with key administration officials and Washington insiders. The delegation then continued on to Chicago for a series of outreach meetings and site visits to various member companies. While in Chicago, Susan also met separately with a group of 14 regional EU Consul Generals and Trade Counsellors to discuss opportunities for shared cooperation towards deepening transatlantic trade and investment ties.